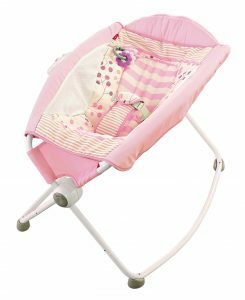 Th U.S. Consumer Product and Safety Commission (CPSC) issued a warning in April 2018, urging parents to be aware of potential flaws with “Rock ‘n Play Sleepers” made by Fisher-Price. According to the CPSC, more than 30 infants have died in Rock ‘n Play Sleepers since 2009. The CPSC said infants in the sleeper set would roll from their back to their stomach or side while unrestrained. Shortly after the CPSC issued its warning, Fisher-Price recalled more than 4.7 million Rock ‘n Play products. According to an advisory on Mattel’s website, those who own a Rock ‘n Play sleeper should discontinue using it immediately. Those who contact Fisher-Price will receive a refund or voucher. Despite the recall, several families are considering legal action. A defective product lawyer said the recall is a necessary step, but it doesn’t help families who’ve already suffered a loss due to this dangerous product. If your family has suffered due to this product, you may be entitled to compensation. Call our experienced defective product attorneys for a free case evaluation.